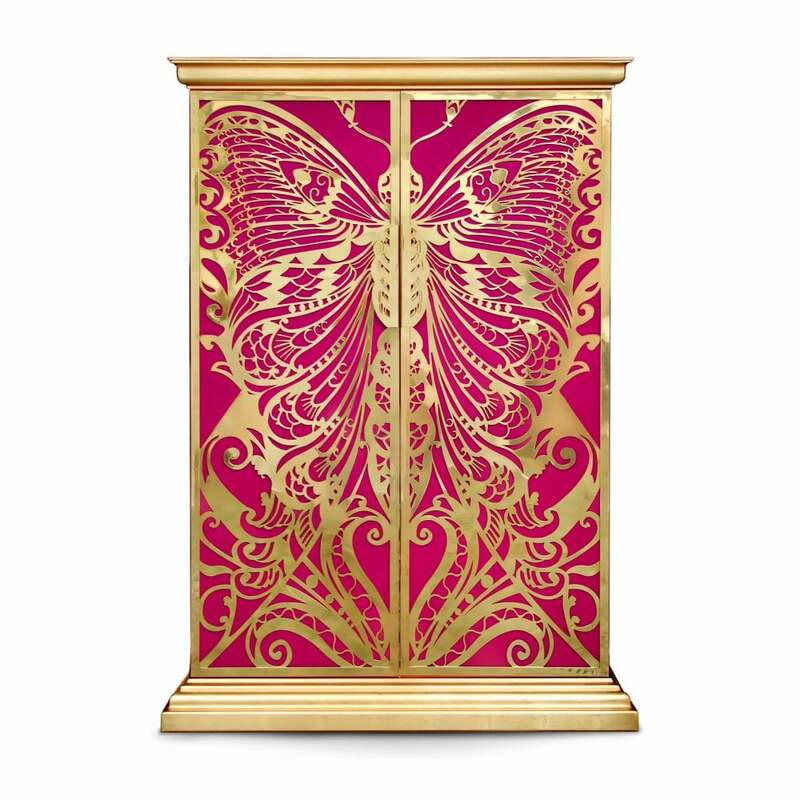 Designed with a profound admiration and influence of the French decorative arts, the Mademoiselle Armoire will transport you to another world in a crazy beautiful kind of way. Butterfly design and handler in polished brass over a silk lining opening to an interior covered in gold leaf with high-gloss varnish, 9 antique mirror drawers and 2 adjustable glass shelves. Doors: KOKET Fabric collection.